The historic Mediterranean port of Alicante is now an extremely popular tourist destination whose economic growth greatens year upon year. Once a slightly shabby sea-port it has now transformed itself into an attractive destination popular with holiday makers all over the world. The city is the capital of the province of Alicante and the second largest Valencian city with a population of around 350,000 residents. 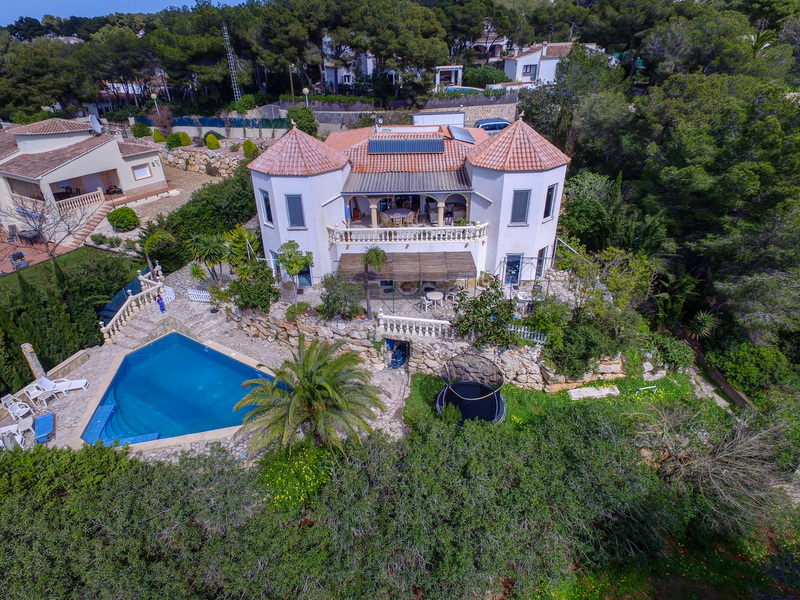 Originally named “Lucentum” which translates as “City of Light” the vibrant city offers much to see and do with an exciting night-life, great restaurants and plenty of activities and events to keep the whole family entertained. 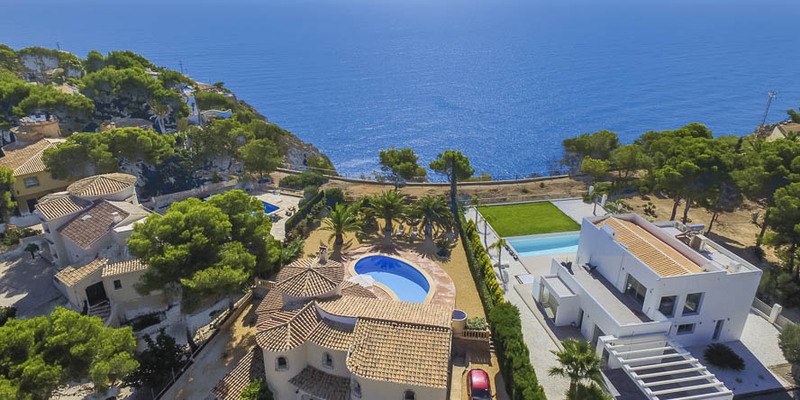 As to be expected with cities in this area, Alicante boasts an attractive Mediterranean climate with mild winters and hot summers and very little rain. The city is well known for its pretty boulevard which is flanked by exotic palm trees and bustling shopping streets. 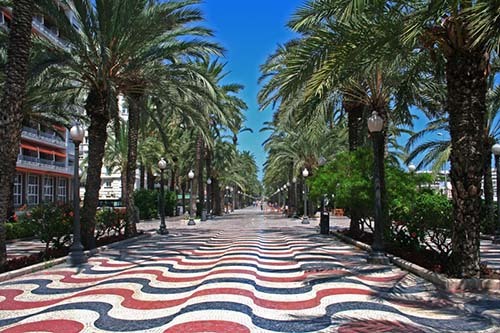 Along the Alicante harbour you can find striking long alleys to walk through where you can enjoy the palm trees and the mild climate. 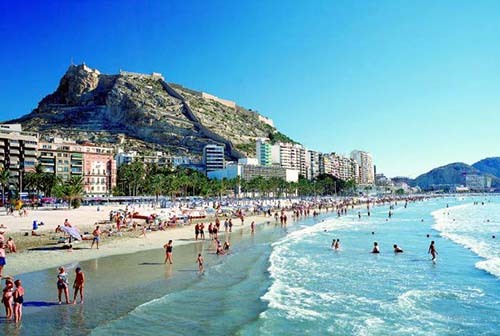 Alicante has a huge list of attractions so everyone will find something they enjoy to see or do. The beaches in this area are simply stunning, including the pretty island of Tabarca which is located just off the coast. This tiny island is actually the largest inhabited island in the Valencian Community even though it is only 18,00m long and 400m wide. Daily trips to the island mean that it can see over 3000 visitors in a day. It is a perfect refuge from the hustle and bustle of life on the mainland and definitely worth a visit during your stay. There are also huge plazas and wonderful parks to enjoy all year round. If you fancy something a little more cultured however why not head to the famous Castillo de Santa Barbara. The Castle of Santa Barbara is located right in the centre the city and is one of the largest mediaeval castles in the Spanish region. This castle acts as a landmark of the city being located on the top of Mount Benacantil, and here tourists can visit the castle and take in the panoramic views of the city it offers. The Museum of the City of Alicante (MUSA), which can be found inside the castle, and depicts various expeditions throughout various historical periods as well as fascinating artefacts from the time. If it’s a touch of luxury you are after then head to the Alicante Marina which boasts fantastic shopping facilities, sophisticated restaurants and maritime adventures. For the more discerning tourist or for those on a self-catering budget then why not instead head to Alicante’s wonderful indoor market? The market is situated in an attractive art-deco building which was built by Juan Vidal Ramos between 1911 and 1912. It’s circular appendage topped by a semispherical cuppola is known as "La Rotonda" and the building design would have been considered very progressive for its time. Once inside you will find an array of mouth-watering treats to purchase with many stalls brimming with an abundance of appetizing food, such as fruit and vegetables, seafood, figs and dates, olives, aromatic breads and tasty sweets. The market is a favourite with local residents and is packed with the local Spanish people who buy their staple foods from here, and thus gives a good insight into the Spanish way of life. If you do prefer to eat out there are many good deals to be had with plenty of upmarket restaurants offering bargain lunchtime deal, with chalk boards outside offering details of their menu. For the unversed tourist this is usually a specially priced 3 or 2 course meal, which often is inclusive of wine or a drink of your choice. There are plenty of great places to stay in the area with good value hostels for those on a tight budget to fabulously luxurious hotels for those who want to splash out. Most city centre hotel rooms are reasonably priced and offer relaxed but high quality accommodation so you can be sure to enjoy your trip in comfort and style. Alicante is an increasingly popular tourist destination. 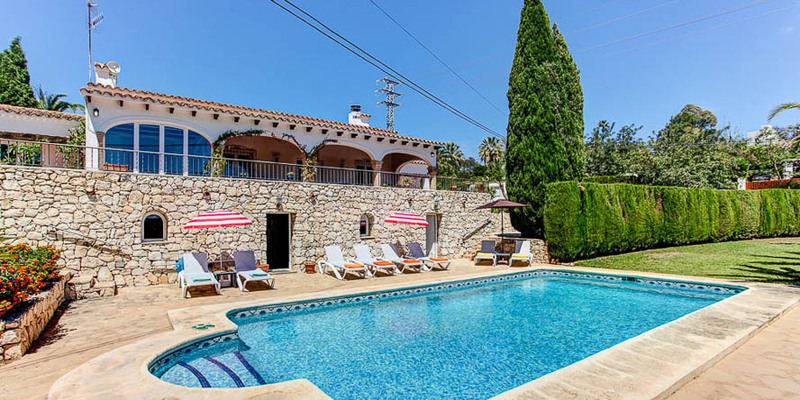 It boasts a sunny Mediterranean climate and has plenty to see and do. For those whose idea of perfection is sea and sand there is miles of wonderful coastline to enjoy as well as great restaurants and bars all on your doorstep. The city also offers a wealth of museums, markets, parks and of course the famous Santa Barbara castle for those who like to explore the culture and history of the city as well. Whatever you enjoy on your holiday Alicante has something for everyone.